Giant spiders (are there any other kind this time of year? 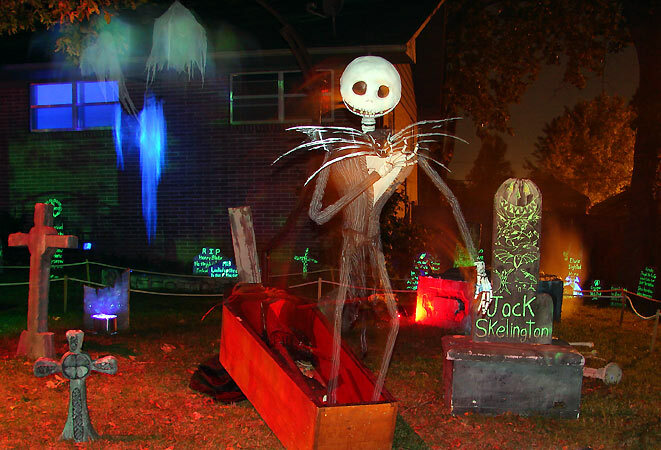 ), a fog-breathing dragon, Jack Skellington and the ghost of Elvis. 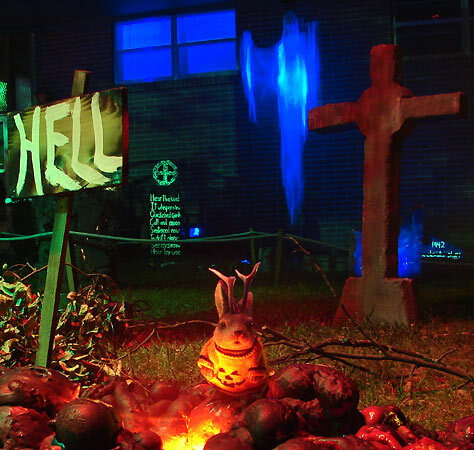 See the best in home-made Halloween decor in 2007's Ace Goes to Hell.